No sensitivity against humidity or liquid water in every climatic condition. Both, Single Arm OTA and Truss OTA solutions are possible with the NCLT design. 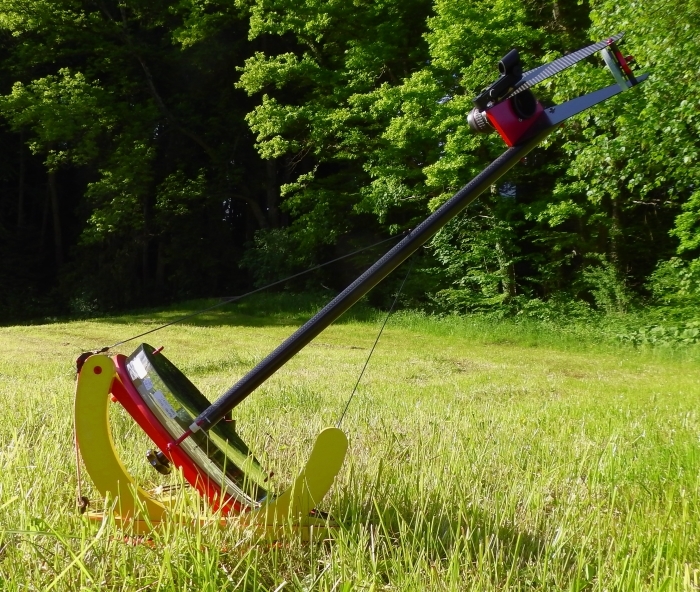 Single Arm version allows very quick set up extending the 'real' observing time. 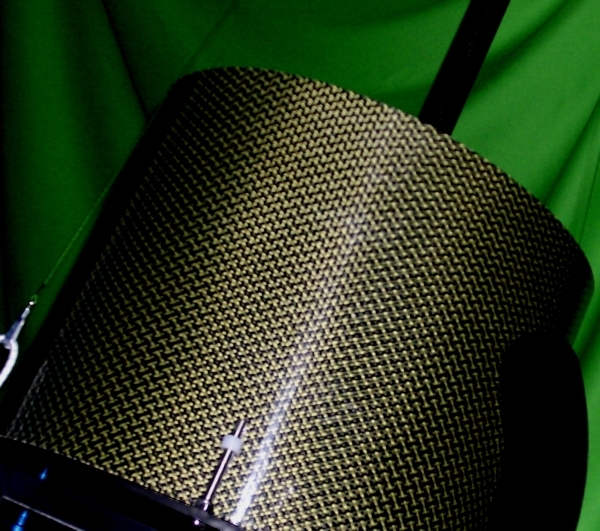 Truss Tube Versions are meant for photographic applications & for bigger apertures beyond 16". 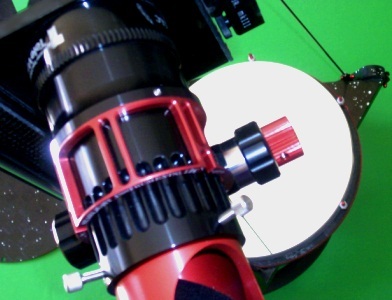 It is possible to install dovetail adapter plates to attach the OTA to an equatorial mount. 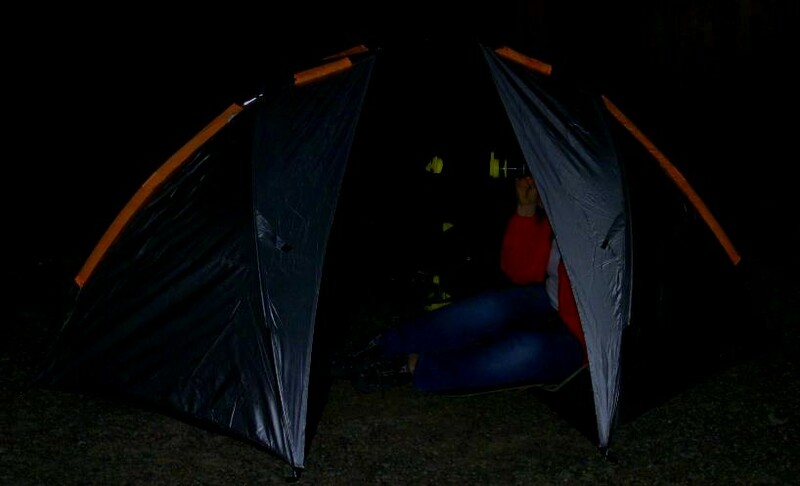 Also an optional Nylon fabric lightshroud can be customized for covering the truss tube. A supportive truss structure is included with all NCLT Single Arm versions. This anti-vibration solution consists of two thin carbon fiber rods to attach to the pole and to the tube base and Alt wheel. It is stopping vibrations instantly. You don't need them when you observe with lower or mid magnification. However, it will reduce vibrations at high magnifications. The obstruction (shading) caused from the Valien struts is neglectable. 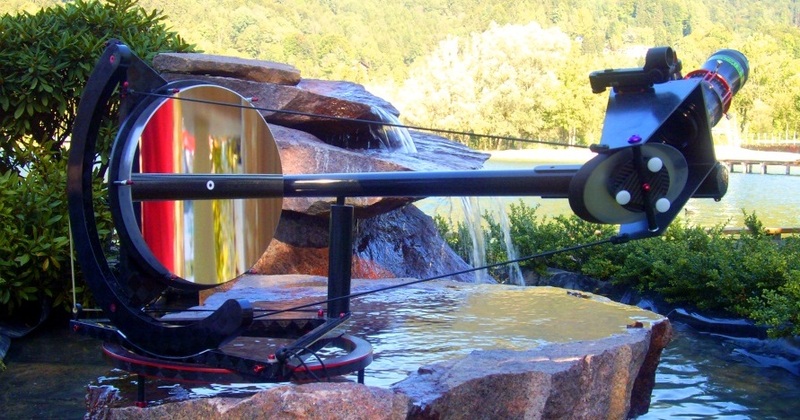 Lightweight Feathertouch Focuser from Starlightinstruments are meeting the requirements for visual and photographic purposes for advanced travel and backpack instruments in very fast F/3 telescopes. 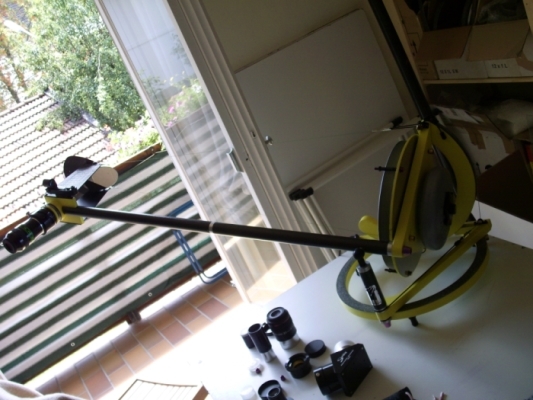 SIPS is a combination of an optical ParaCorr II Coma Corrector from TeleVue with an attached lightweight focuser. It is ideal with NCLT Travel Instruments for ratios around F/3. We prefer a special lightweight focuser in combination with the SIPS from Starlight Instruments. For 12" F/3.5 instruments we recommend the lighter Baader MPCC in a HC-2 focuser. Your visual observing experience may improve if you can lean back and relax your body. We recommend a flat folding seat that supports your back like a deck chair. NCLT can serve as a high performance digiscoping instrument for wildlife and birding to catch hidden scenes of nature. 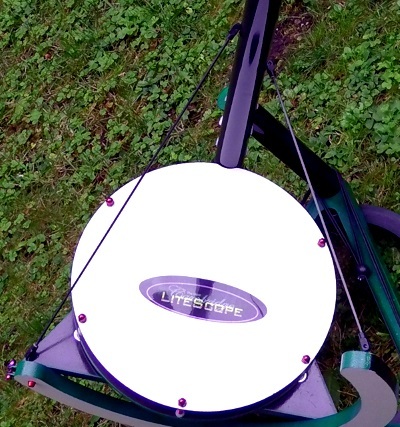 A mirror telescope of 12" will generate brighter high resolution digiscoping footage. 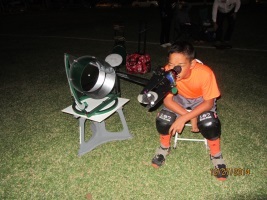 There is not much difference to tell to a normal fast ratio 12” Dobsonian telescope and you will get the same performance depending on mirror quality, observing skills, performance of the eye, and the atmospheric seeing. The diffraction image caused from the two blade secondary cage is not striking - just a faint unidirectional spike pattern, unlike most radial spike patterns caused from common 4 or 3 arm spider mounted secondary optics. The center of gravity in NCLT instruments is very low so that the structure provides collimation-stable and vibration-free observing. It will require a low observing position, e.g. to sit on a small chair, or on a mat on the ground depending from the angle of altitude and the size of the optics and ratio. Of course, it is possible to put the scope on a higher level. 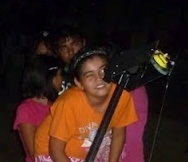 Children like NCLT MOUNTAIN telescopes due to their low eyepiece position. 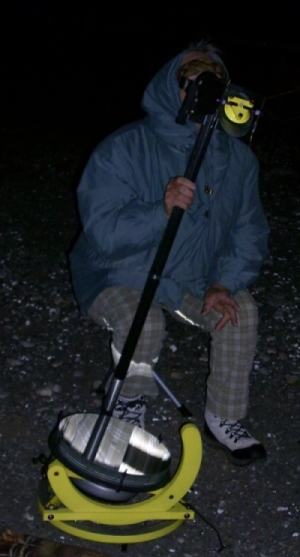 Most observation is possible without ballast weight. 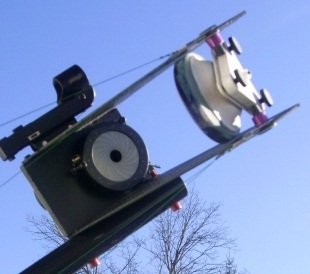 However, the included water ballast system, or a plastic-encased dumbbell weight disc (from a gym shop) will relieve the bungee counter system, making it more convenient to balance the scope with heavy eyepieces. Normally, there is no need to change the counter weight when changing the eyepieces. Light or mid weight eyepieces do not require any ballast. About 5lbs ballast weight is enough for balancing 12" MOUNTAIN telescopes with heavy eyepieces plus coma corrector or even a camera. 16inch and bigger NCLT telescopes will not need ballast for most observing tasks. We offer (donut shaped) water ballast bags for the 12" MOUNTAIN size. 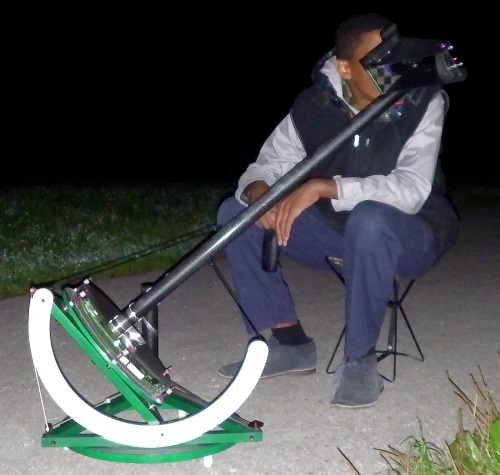 The eyepiece weight may be limited in rather low positions but we, typically, observe planets at such low positions with rather small 60° eyepieces. Electronic eyepieces or web cams allow viewing on screen. 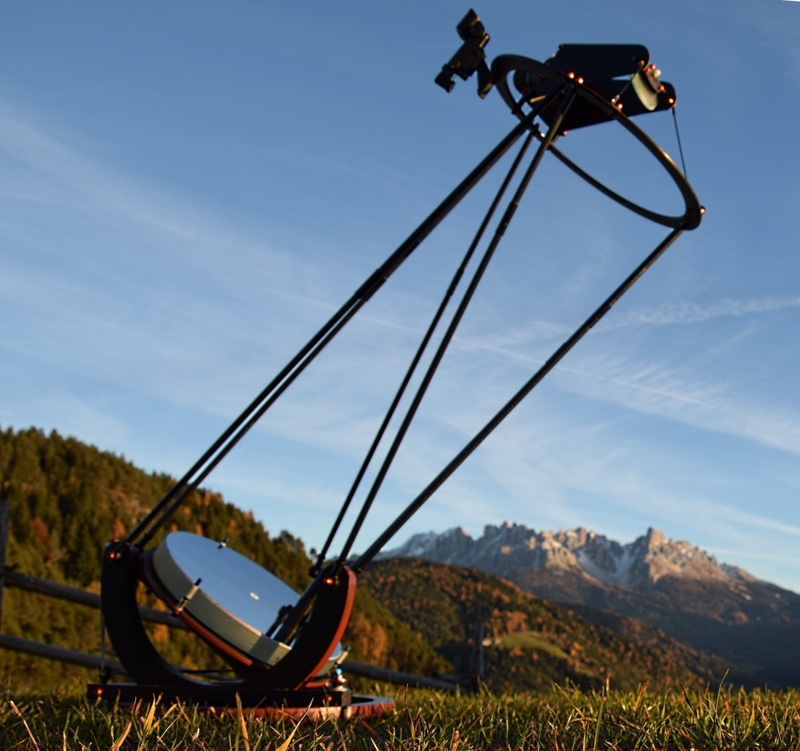 The included bungee counter system allows change of eyepieces without the instrument loosing its position. A counter weight (5lbs) balancing a ParaCorr PLUS Ethos13 Eyepiece. The bungee cord system allows fine adjustment. Here pictured with F/4 optics in a MOUNTAIN 12" NCLT instrument. Copyright: 2019 Vivian Bock. All rights reserved.